I had a birthday last week. 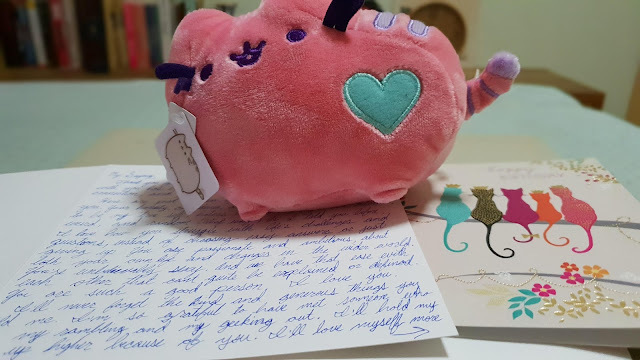 It was my 28th, so it was pretty special to me. 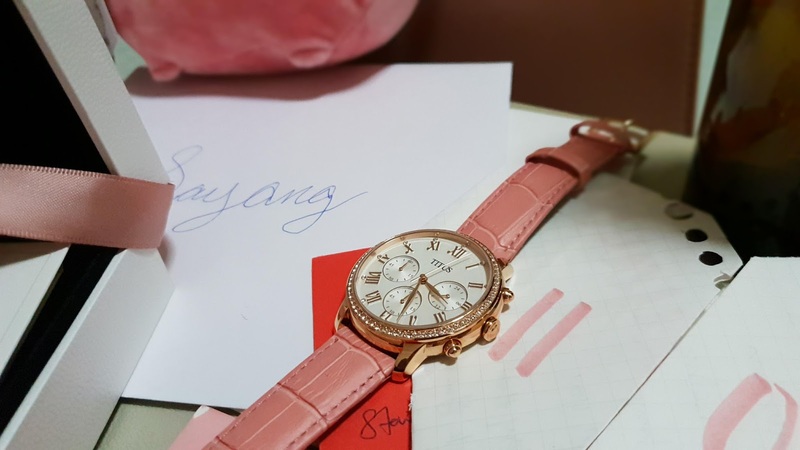 My family got me a watch, as is their tradition, with the exception of last year, because last year was weird for us as a family, and perhaps they forgot about their traditions with me, but this year, it seems like things could be mended, slowly. Chloe got me Gold Class movie vouchers, which I love. Going to the cinema is one of my favorite things to do, and unfortunately I did very little of this in 2017. I seem to have taken time out from doing so many things that I like, but now I'm going to try get back to them. Gold Class movie vouchers are such great gifts, because who wouldn't like watching movies in comfortable cushioned reclining chairs, and blankets, and personal tables for your fancy meals? No one. But who would dish out that money on themselves? I wouldn't, lol, I mean regular movie tickets are pricey enough! 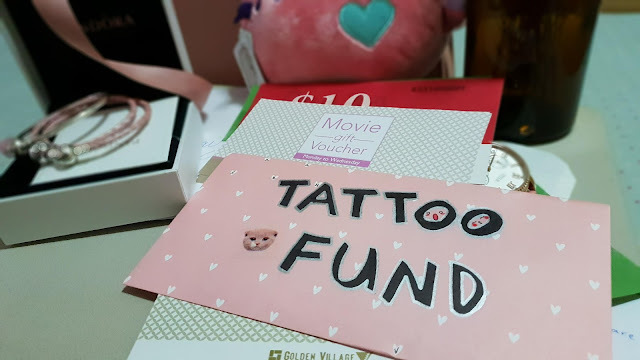 My soultwin Viv gave me cash as part of my tattoo fund, which is apt because she's one of my tattoo shifus. Hehehe I cannot wait to go get it with her and Andrea and Han and Pamela. Ben says I deserve better than Bon Jovi, so maybe I'll do Hamilton, I dunno. 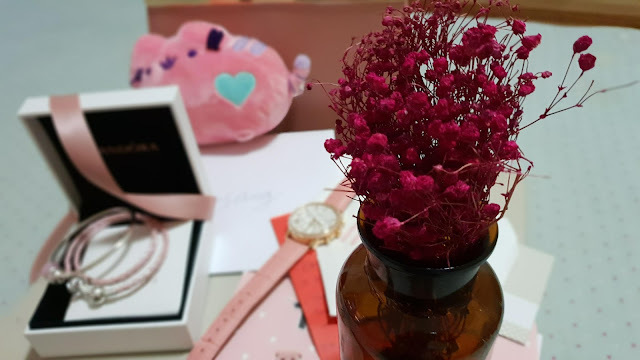 My girls: Han, Tiqs and Sha got me fake flowers because they knew I've never liked flowers because they wilt and die, so these ones will never die, and they got a vase for them, and this is amazing. They also got me shopping vouchers, which I think I'll use to get myself a bottle of Chanel No. 5 EDP. It's my favorite perfume, but I only used it once in my life, when my mother got it for me on my 21st birthday. I always loved the powdery, sweet scent but I thought it doesn't really suit me, I'm not demure -- you know, I'm the girl who burps in public and posts videos of myself coughing phlegm on my Instagram stories, but you know, it's my year, I will wear whatever perfume I want to. They're also taking me to watch Kumar next week, which I'm really looking forward to! For someone who wants to do a stand-up comedy session sometime, it's funny that I've never seen a stand-up comic live. I've only seen those on Netflix or Youtube. 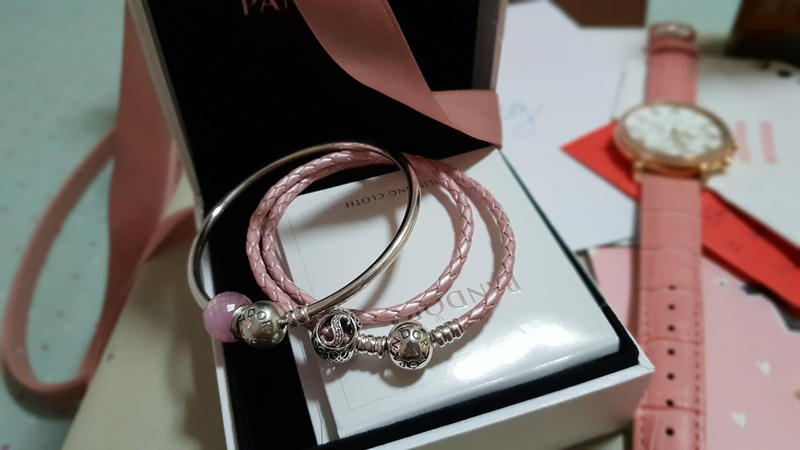 Cuifen, Pearlyn, Timothy and Yuriko got me two Pandora bracelets, and they are gorgeous, and pink, and extremely me. One of them has an S charm, because of course my name is Sarah. This is my new staple accessory. 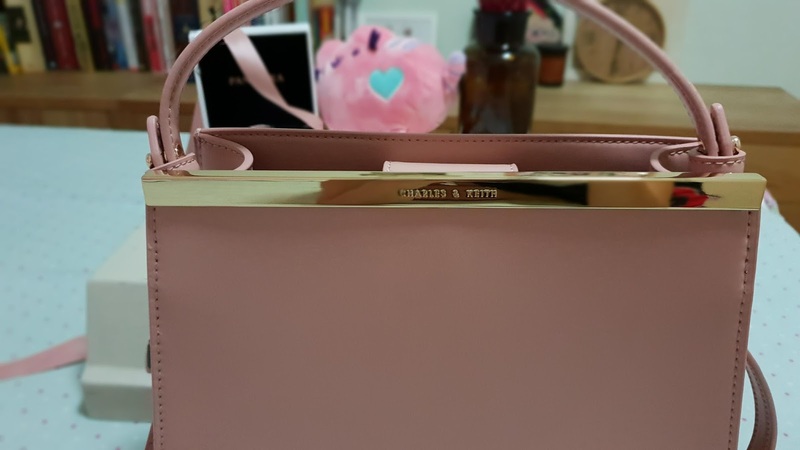 Nabilah got me a handbag from Charles & Keith, which is just the perfect colour and design and which I'm gonna use for Eid this year. Yay, I have something besides my backpacks to carry around! Dana's gift to me was the gorgeous watermelon cake that was a talking point of the night. The decor of the cake really coincidentally matched my dress and the flowers in my hair. 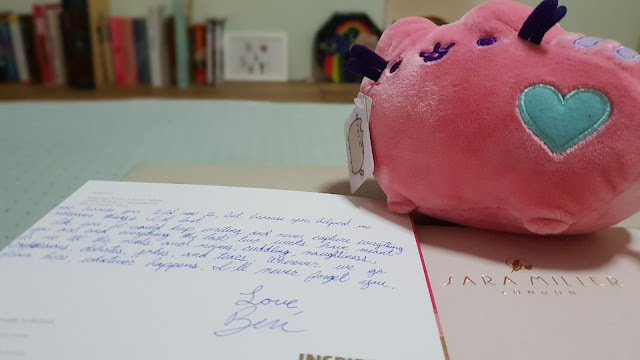 So, Ben got me a little pink Pusheen plushie, because I was always mewing to him randomly. 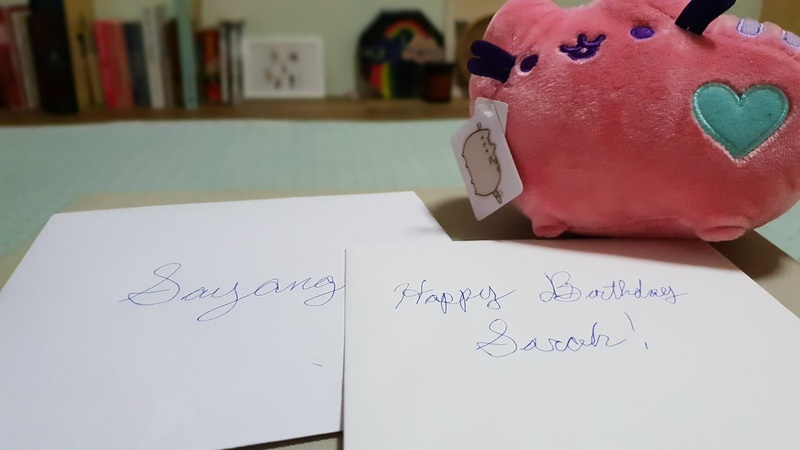 He also wrote me two cards. One was something for me to read at the party, and the other was an essay of what he loved about me. He couldn't fit it on one page so he continued on the back of that card. This man is so adorable, and he's mine. When we watched Hamilton, I'd cried at the scene of It's Quiet Uptown, because that was when Hamilton and Eliza had just lost their son Philip, and of course it always takes me back to my miscarriage, so I'd been sniffling. Towards the end of the musical, during Who Lives, Who Dies, Who Tells Your Story, one of the lines about Eliza building an orphanage got to Ben, he said it reminded him of his mum, who had been a special ed teacher, and he teared, and I was completely thrown. This man! I've seen the Hamilton bootleg with several men, but none of them responded the way Ben did, and I love him!!!!!!!!!!!!!! We also had a fantastic dinner at National Kitchen by Violet Oon, at the National Gallery. It was his treat 'cos we didn't think he would be staying until my birthday but he extended his trip, and he did grace my party and make it ever more memorable. Also, on my birthday evening, I was asking if anyone wanted to play games before we ended the party, but most of my friends and family were tired, because we'd already had quite a bit of fun with jokes (#saidpeoplesaidyourself) and confusing anecdotes, and the watermelon cake, and sparklers. Ben then said "I want to play games" and I knew it was because he had been going around with me to prepare the things for the party, and I'd just bought the whiteboard for Pictionary and I just wanted my guests to enjoy themselves, and I wanted to just squeeze him right there and then. We ended up not playing, but my party was really fun and everyone seemed to enjoy themselves, and they all liked each other and commended me for my taste in social circles, anyway, hehehe. 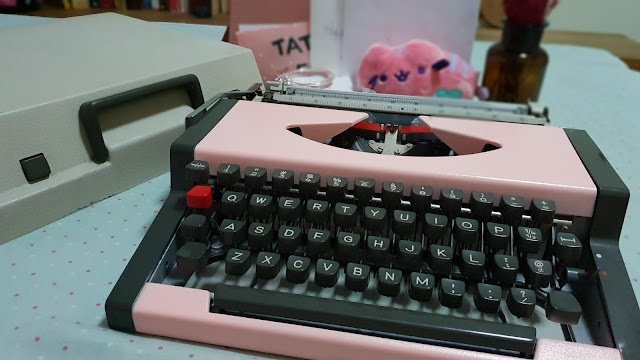 The pièce de résistance was Hazwani's gift, which is a pink typewriter, that is fully functioning and I'm still figuring out how to use all of its magic. My life is now complete, I WANT FOR NOTHING ELSE. 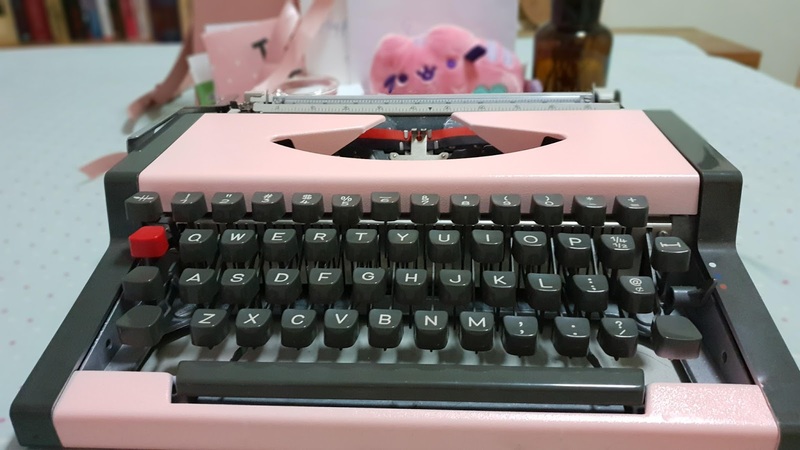 This is just my type(writer) of gift, actually all my gifts were my type of gifts. 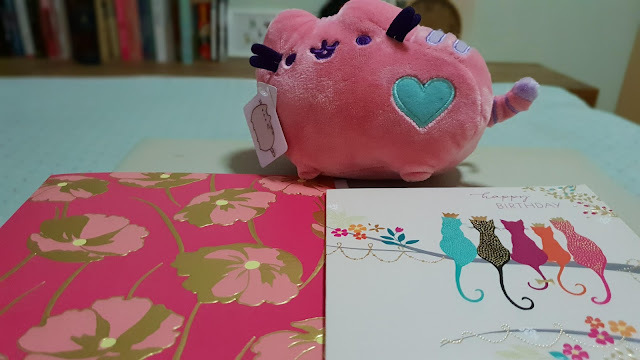 I am now 28, and I have received such lovely things, but as I said during my little speech to end off my party, I am truly blessed to have the best people as my company. The most important thing they all did for me was to stay by my side through rough storms in my life. I can look around and say how lucky I am to be alive right now (Hamilton reference, for the uninitiated).